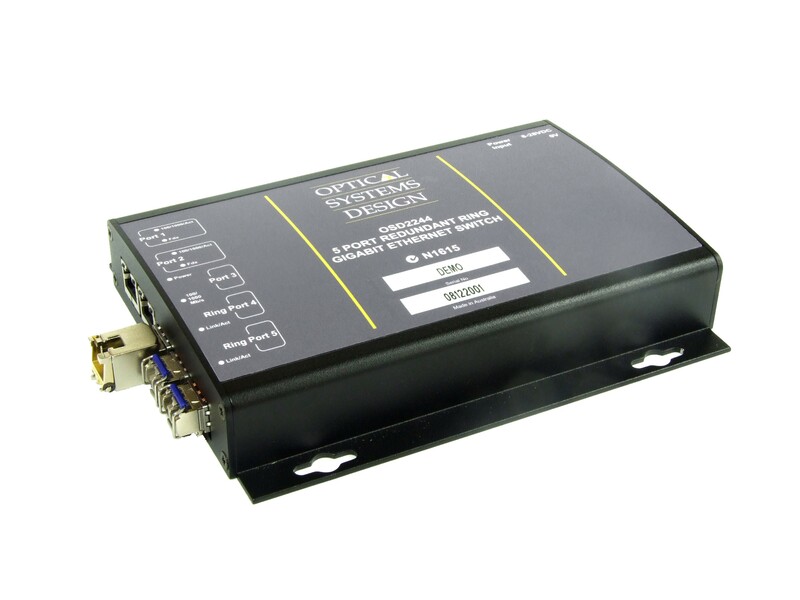 Complies with IEEE802.3ab 10/100/1000Base-T, IEEE802.3z 1000Base-LX standards. Has a total of five ports: two fixed copper ports for 10/100/1000Base-T, two SFP ports for the fibre ring and one SFP port which may be either copper or fiber. Supports network traffic of 1000Mbps. Auto-TP sensing of half or full duplex operation in 10/100 mode.